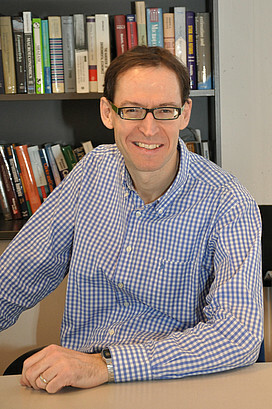 Robert Hill is Professor of Macroeconomics at University of Graz, Austria. Prior to that he was Professor of Economics at University of New South Wales in Australia. He obtained his PhD in Economics in 1995 from University of British Columbia in Canada under the supervision of Erwin Diewert. He is a Fellow of the Academy of the Social Sciences of Australia, and of the Society for Economic Measurement, and a member of the Conference on Research in Income and Wealth (CRIW) at the NBER. He has served on the Technical Advisory Group of the International Comparisons Program at the World Bank, on the Expert Advisory Group of the Review of UK Consumer Price Statistics led by Paul Johnson, and as a member of the Expert Team advising Eurostat on the treatment of owner-occupied housing in the HICP. From 2008 to 2014 he was Managing Editor of the Review of Income and Wealth. He has published in many leading international academic journals on issues relating to economic measurement, including in American Economic Review, International Economic Review, Review of Economics and Statistics, Journal of Econometrics, Journal of Business and Economic Statistics, European Economic Review, Journal of Public Economics, Economic Inquiry, Regional Science and Urban Economics, Macroeconomic Dynamics, Review of Income and Wealth, and Journal of Housing Economics.